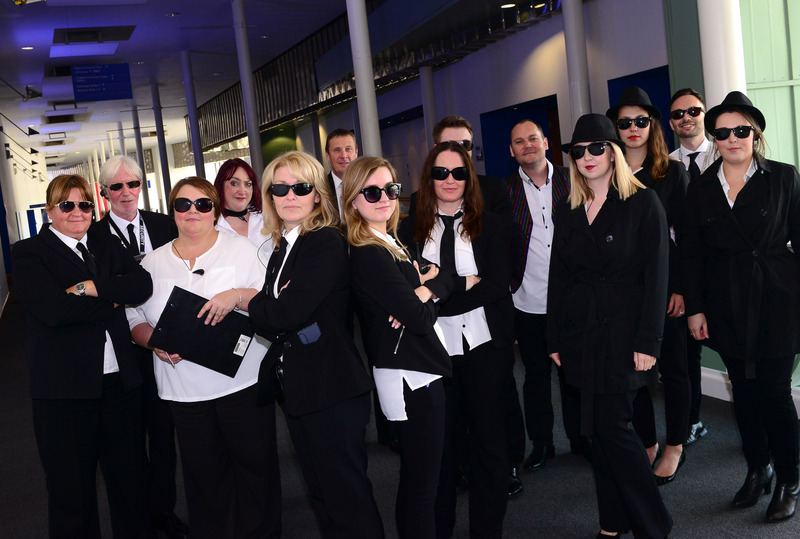 The International Centre, Telford, has welcomed some 40 agency and corporate buyers to its Midlands venue for a highly creative familiarisation event, based on an escape room secret mission, a first for the venue. Held over two days (July 25th-26th), the unique event leveraged over 15,000m² of space at the venue to stage 15 different puzzles and challenges to create what is thought to be one of the largest escape rooms in the UK. Corporate and agency buyers, who came from around the country, were enticed by a secret venue mission from start to finish, with an overall objective to save the ‘Event Crystal’. Starting with an anonymous invitation from a tenacious ‘Agent G’ through to a luxury fine ‘dining in the dark’ experience, events agencies and corporate guests experienced a day of secret transport pick-ups, special agent briefings, ingenious creative content and breakout gaming that aimed to push the boundaries of corporate hospitality. The escape rooms were developed in conjunction with local escape room company XscapeNow and were themed and staged to show the benefits of The International Centre, Telford, as a versatile events and conference centre. Mathew James, Group Marketing Communications Manager at The International Centre, Telford, comments: “We wanted to develop a concept that really engaged with events professionals and showed off this fantastic space as a flexible, easy-to-navigate and well-maintained national event and conference space. Familiarisation trips are a mainstay of a venue’s marketing mix, but we really wanted to spin this on its head and spark imaginations. In-house production specialists Stagecraft UK worked to develop high-quality, technical production across all of the spaces, including a mission control room, a secret spy interrogation room and a ‘shaken, not stirred’ bar-themed puzzle room. The International Centre’s award-winning food and beverage team produced a sumptuous fine-dining experience in the evening, including ‘blindfold’ courses – which challenged the taste buds of attendees and showcased the benefits of complete control over catering services in a big venue, which The International Centre, Telford, prides itself on. “In a manner which mirrors our service to clients, the team at The International Centre, Stagecraft UK and our hotels have worked all together to pull off such an amazing event across our event campus,” comments Tom Gray, Chief Executive of the Southwater Event Group, owners of The International Centre, Telford.